One quick chuck of a pillow can change the entire feel of a room and if you stick with a winter theme rather than Christmas, you can enjoy the look for the entire winter season. I picked up a couple of these vintage skate cushions at Home Outfitters on sale for $11.00 each. 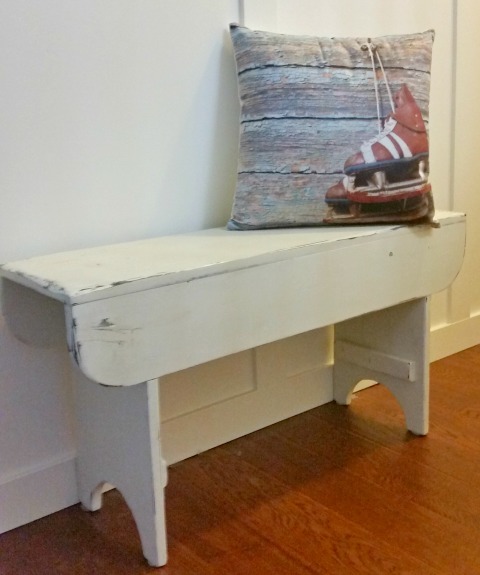 This Cushion works perfectly in my front entry which has a relaxed weathered feel to it. TIP: Try to choose cushions with zippers so the covers are easily interchangeable. This also makes storage a dream as you only have to store the cushion cover rather than the entire bulky insert. Faux fur throw cushions (say that 3 times!) are a fantastic way to add a touch of warmth to a room. 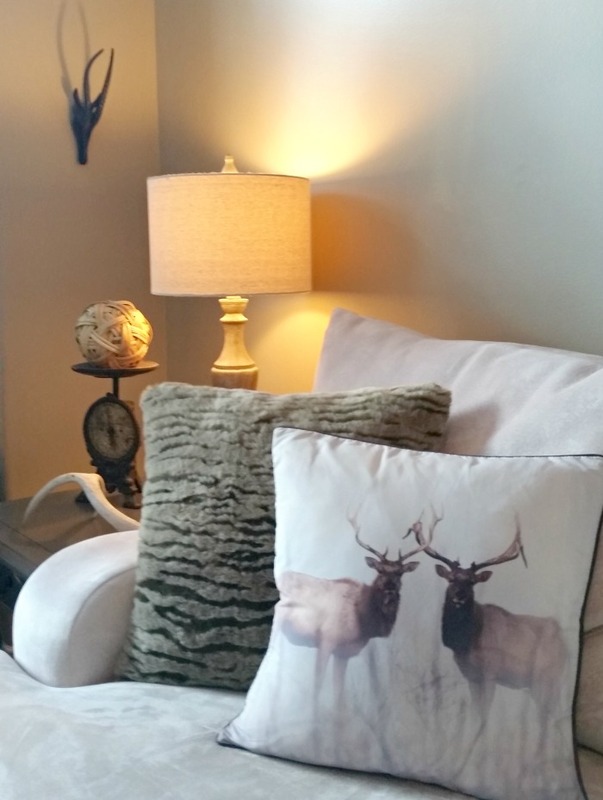 Adding cushions picturing wildlife is right on trend this year and pair perfectly with anything fur. Adding an antler or 2 like the one seen on the side table above, is also a great way to achieve this look while staying right on trend this winter season. One of my favourite local shops for zippered cushion covers is Fabricland. Not only do they have a huge selection, but they are reasonably priced and often go on sale. 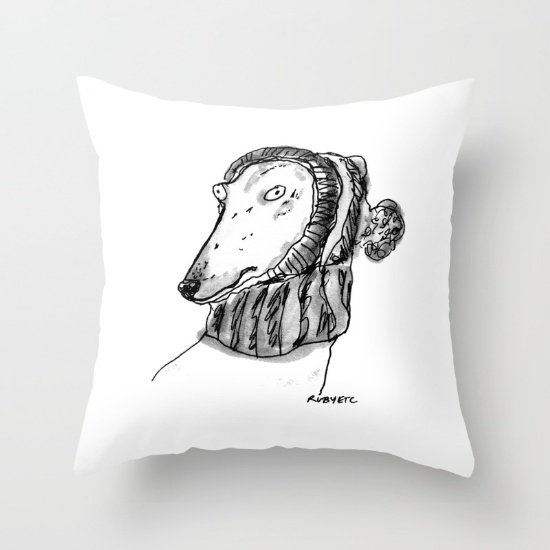 Here, I paired a cushion you could use all year with a winter themed cover. 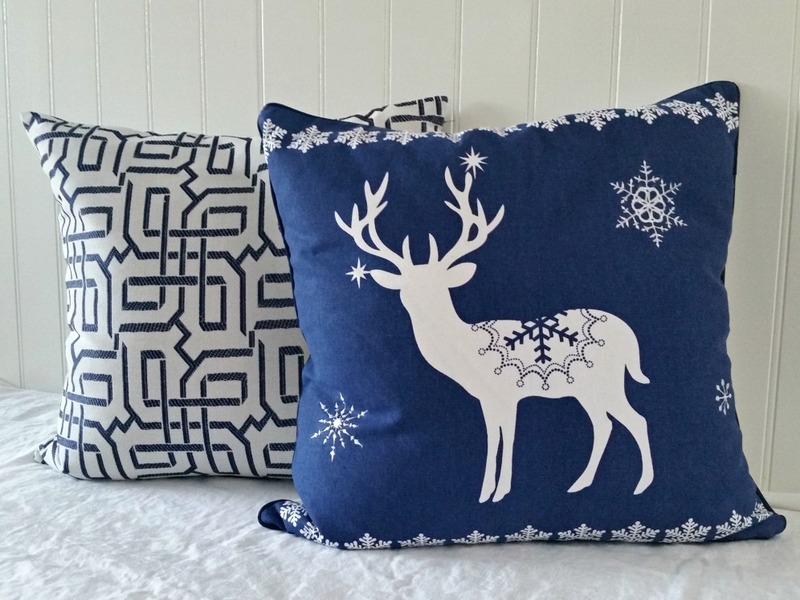 You don’t have to replace every cushion in the room to get the feel of winter or the holidays. By popping in one themed cushion that compliments your style and colour you can achieve a seasonal look without breaking the bank. If your an animal lover, adding whimsical throw cushions like the one above by Ruby Etc is a great way to get the feel of winter in a contemporary way. And I mean c’mon, how cute is this greyhound in a toque. 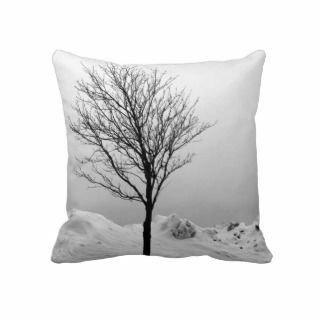 For the lover of everything outdoors, nothing says winter like this cushion depicting a lone tree out in the Toronto snow. If it’s warm and cozy you are after, look for wools, tartans and knits to give any room a wintery cozy feeling. I love, love, love my throw cushions. Just by adding one cushion, you can change the entire feel of a room, unite colours and add texture and pattern. That’s a whole lot of power for a little 20 x 20 package of fluff!